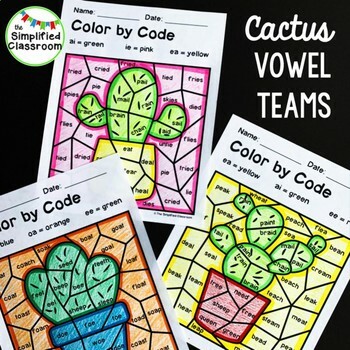 This product includes 5 color by code pages that focus on the skill of identifying vowel teams. 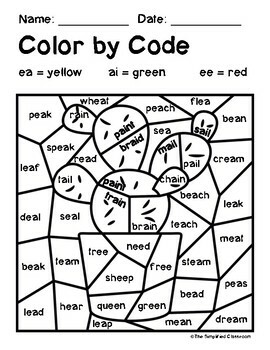 These pages can be used as a literacy center, an extension activity, or even to make a student-created bulletin board! 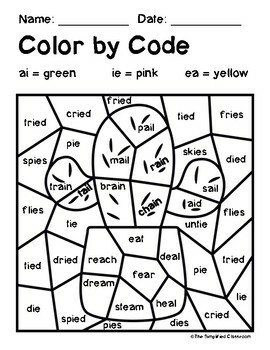 The color ANSWER KEY is also included! 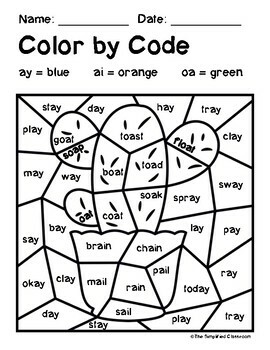 ---> Color by Code Activities - THE BUNDLE - Addition, Subtraction, Blends & MORE!